The original Lexus LS had a pretty tall order to fill when it launched back in 1989. It was tasked with single-handedly leading the launch of a luxury brand in North America and convincing buyers that Toyota was capable of building a sedan that would rival the Mercedes-Benzes and BMWs of this world. And this original LS 400 did manage to successfully introduce the brand; now, however, can the new 2018 LS 500 reinvent it? 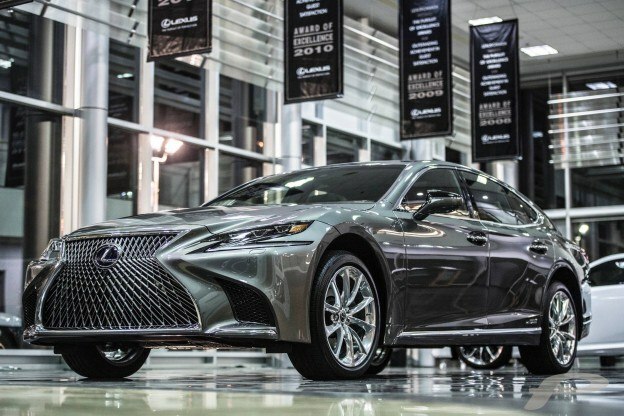 This all-new sedan has been designed from the ground-up to sit at the top of the Lexus hierarchy, above the GS and the ES. To do this, it shares its underpinnings with the LC coupe. But to accommodate a second set of doors, this platform has been stretched by approximately 45 cm. This means that they share a multilink front suspension and a five-link rear assembly, two setups that are reserved for the most advanced cars. It’s also important to note that the dampers on the LS are more comfortable than those of the LC. And speaking of comfort, the LS features adaptive stabilizer bars and optional air springs, as well as rear-wheel steering, which helps it corner with greater agility. Stylistically, the new LS 500 shows a drastic departure from the original LS’ flat sides and classic look. Whether you look at its large front grille, its raked front windshield or the swooped D-pillar, the new LS 500 exudes quiet class. 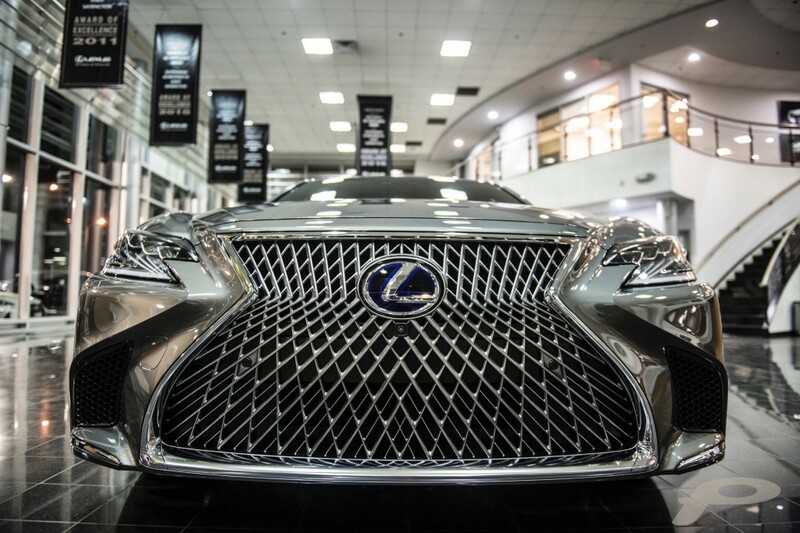 Inside, Lexus chose to use organic shapes and high-quality materials. 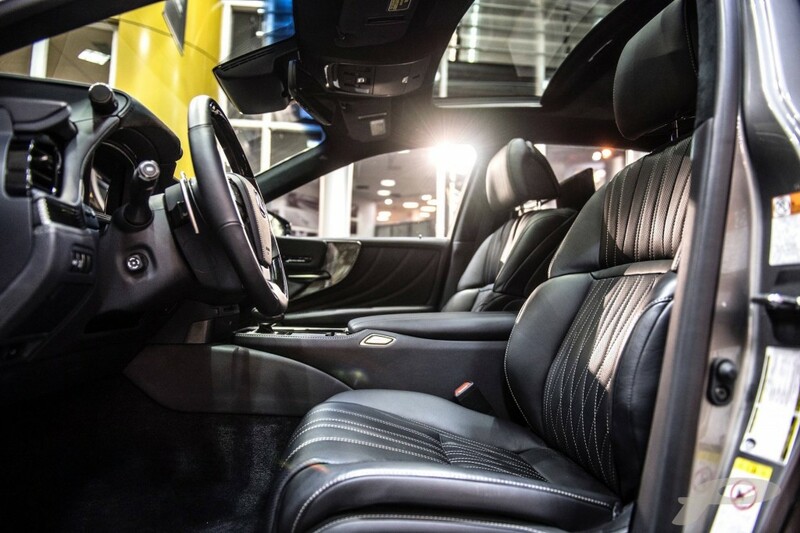 All seats are thickly padded, and contrasting leathers are everywhere… even around the gauge faces. The thin lines that run from one side of the dashboard are magnesium stripes. To ensure the LS 500 won’t struggle to accelerate on the highway—another must for a modern luxury vehicle–an all-new twin-turbo 3.5-litre V6 was developed. This all-aluminum powerplant revs smoothly and makes an impressive 414 hp and 443 lb.-ft. of torque. To send this power to the rear wheels (or to all four, if you choose this option), a new 10-speed transmission has been chosen. Developed by renowned manufacturer Aisin, this gearbox ensures that the V6 is always in its optimal rev range. The hybrid version (pictured here) is also available … and at Lexus, rumours are swirling about a high-performance variant that would use a modernized V8. 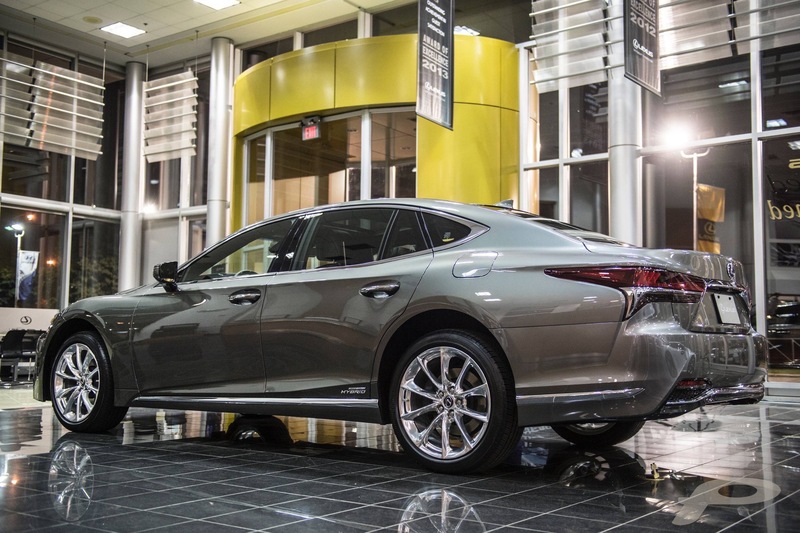 But rumours aside, the all-new 2018 Lexus LS 500 is an amazing feat of engineering and design. Boasting modern powerplants, novel technologies, and a powerful styling language, it proudly stands as a testament to what the Japanese automaker can do when they aim to reinvent a segment.